This volume celebrates the study of Austria in the twentieth century by historians, political scientists and social scientists produced in the previous twenty-four volumes of Contemporary Austrian Studies. One contributor from each of the previous volumes has been asked to update the state of scholarship in the field addressed in the respective volume. 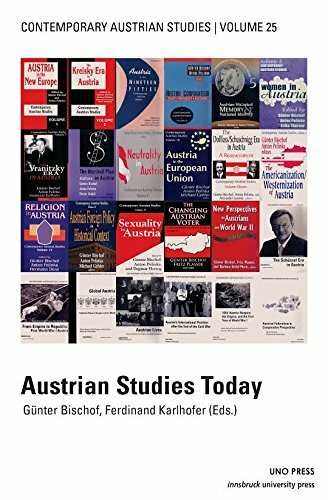 The title "Austrian Studies Today," then, attempts to reflect the state of the art of historical and social science related studies of Austria over the past century, without claiming to be comprehensive. The volume thus covers many important themes of Austrian contemporary history and politics since the collapse of the Habsburg Monarchy in 1918―from World War I and its legacies, to the rise of authoritarian regimes in the 1930s and 1940s, to the reconstruction of republican Austria after World War II, the years of Grand Coalition governments and the Kreisky era, all the way to Austria joining the European Union in 1995 and its impact on Austria's international status and domestic politics.